for $119,900 with 3 bedrooms and 2 full baths. This 2,200 square foot home was built in 1978 on a lot size of 0.71 Acre(s). PRICE REDUCED from $129, 900 to $119, 900! This rustic log sided home is tucked in the towering pines, on pristine Miscauno Island surrounded by the Menominee River. 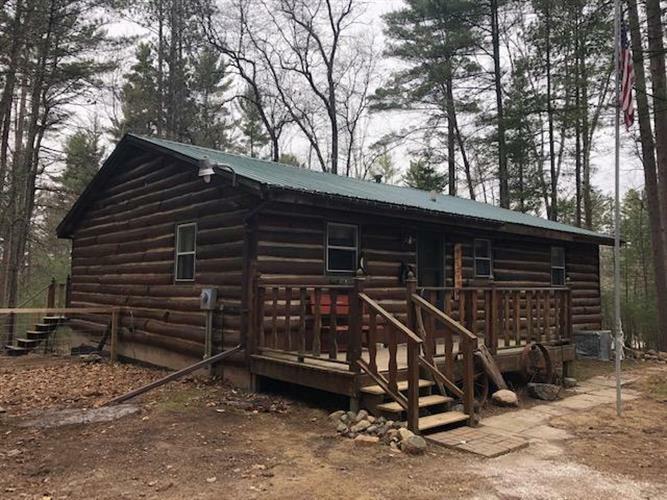 The main level of the home features 2 bedrooms, 1 bath and open concept kitchen, dining and living area with spectacular views of the wooded lot. The free standing wood stove provides extra heat for the home for those cold winter days and cool summer nights. The walkout lower level features a spacious family room, bedroom, bath, laundry and storage area. Enjoy over 9 miles of boating on the Menominee River, in addition to golf and dining at the Four Seasons Resort. The current owners love to relax and watch the wildlife on the wrap around deck. New Roof and Septic. Direct access to ATV/ Snowmobile trails on this.71 lot.